You would not know it from the discussion on campus or in our high schools, but the best analysis of the American War for Independence was provided while it was still unfolding. The character of the Americans, the designs of the British Parliament, and the policies that brought these two into conflict were brilliantly analyzed in a series of speeches and letters by an Anglo-Irish Member of Parliament who also served as agent for the colony of New York. That man was, of course, Edmund Burke. At the time, Burke’s understanding of the conflict—that Parliament was fomenting unrest by violating the reasonable expectations of Americans in regard to their own self-government—was extremely influential. Burke was instrumental in arranging the compromise that settled, for a time, the Stamp Act Crisis. Sadly, cooler heads like Burke’s did not prevail, Parliament resumed it aggressive policies, and a war for independence ensued. After the war Parliament preferred to pretend the entire unpleasant business had not taken place. Meanwhile, in America Burke’s analysis remained influential until well into the twentieth century. Unfortunately, over time America’s educational establishment in universities and secondary schools came to reject Burke’s reading of the War for Independence in favor of various forms of extreme ideology. They came to paint leaders of the revolution as either radicals engaged in a utopian project rooted in abstract philosophy, or as selfish pseudo-aristocrats seeking to retain control over the exploited masses. Such misinterpretation means that Burke’s analysis remains as vital, refreshing, and important as ever. Full disclosure, here: the occasion for my revisiting Burke and the revolution is release of a revised edition of Burke’s Complete Writings on America—for which I have provided an introduction (and by a publisher, Cluny Media, on whose advisory board I sit). Then again, bringing this work back into print was my idea, and I have just laid out some of my reasoning, so it should be rather clear that I think Burke has something valuable to say. Burke’s best known discussion of the American crisis is in his Speech on Conciliation with the Colonies. It is a tour de force. 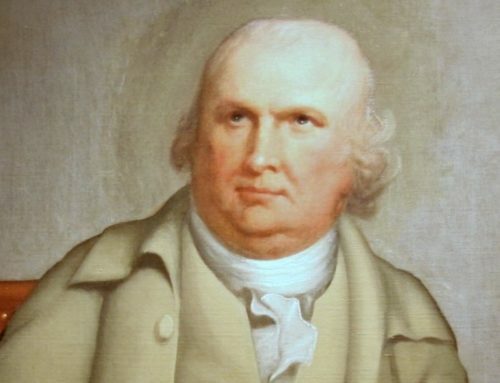 Urging Parliament to back off from its aggressive policies in America, Burke emphasizes the common culture and interests of the British and their American colonists. At the same time, however, he lays out an argument to which the differing customs and even personal characteristics of British and American peoples is central. The Americans, Burke points out, are somewhat quarrelsome as a people and deeply concerned with the protection of what they see as their longstanding rights and privileges. No slave to the abstract philosophies of expansive, universal rights, Burke merely asks his colleagues in Parliament to take account of the people with whom they are dealing, and to see the conflict from Americans’ point of view. A central facet of Burke’s understanding of politics is that of “prescriptive rights,” by which he means simply the reasonable expectations of peoples rooted in longstanding practice. Americans had become accustomed over many decades to conducting their own internal business, taxing and governing themselves within the limits set by the British Empire. To suddenly change the rules of the game by taxing their commerce directly and interfering with local legislatures was well-nigh revolutionary, according to Burke, because it violated Americans’ understanding of their place in the Empire, giving rise to grievance and undermining their attachment to the mother country. Burke had delved into the issues of Imperial control over commerce and taxation in an earlier Speech on American Taxation. Here he castigated then-current parliamentary leaders for claiming the need to maintain some kind of direct taxation on the colonies. On this issue Burke took and brilliantly formulated the American side to the taxation argument: Britain already in effect “taxed” the Americans by controlling their overseas trade. Imperial policy required American goods to travel to Britain before anywhere else, and required Americans to get their manufactured goods from the mother country as well. To add to this a direct tax on commerce in the colonies was a needless imposition and violation of longstanding practice. Throughout his writings on America Burke returns to his essential point: Britain and America both had prospered under a system of “wise and salutary neglect,” in which the colonies largely governed themselves internally, within the broad outlines of British tradition and the overall requirements of the British Empire. Parliamentary innovations, centered on direct taxation and a series of intrusive policies aimed at enforcing it, put Americans in rational fear of their accustomed rights. 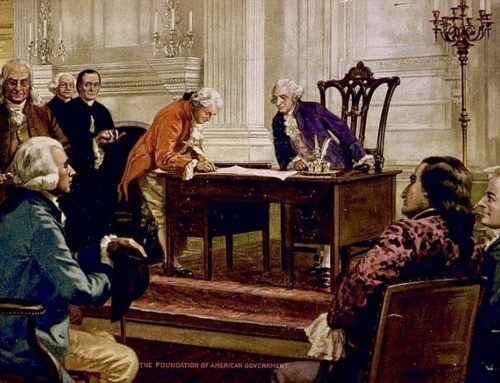 Given that America was a set of distant colonies that could not be made an integral part of British government, a policy of conciliation was best for all concerned. There being no rational means of representation, there also should be no taxation of the American colonies. Recurrence to the loose system of old would bring peace. It also, Burke was convinced, would limit the power of parliamentary ministers who were corrupting domestic British politics in their pursuit of unlimited “sovereign” power. The speeches on conciliation and taxation were not the sum total of Burke’s writing on America. The American crisis had upset political and commercial relations within England. Thus, Burke addressed his own constituents in the industrial city of Bristol, laying out the issues involved. And, still addressing these constituents, he set forth a theory of representation that would come to dominate politics in the early American republic. Burke rejected the notion that a representative was merely the hired delegate of his constituents, bound to vote as directed. Instead he asserted that representatives like him were elected to provide judgment as well as mere votes, and to apply their judgment as they deemed best calculated to further the interests of those who put him in office, as well as the nation as a whole. These two visions of representation would come to dominate the Federalist and Anti-federalist visions of government in America. The partial victory of the more independent theory of representation was crucial to the Federalist victory embodied in early republican constitutionalism. Americans often ignore the impact of their War for Independence on the British government itself. This is not surprising, but may impede understanding of the full import of the crisis. Burke’s other writings on America, including personal letters as well as addresses to the British King, highlight his concern that Parliamentary actions would centralize power within the parliamentary leadership. This leadership, he held, was too easily manipulated by the monarch. As important, however, the powers themselves were best left, not with an all-powerful, “sovereign” Parliament, but with more local governing bodies in America and other colonies. What emerges from Burke’s writings on America is a picture of a conflict waged between a distant, centralizing power and decentralized associations and local governing bodies long accustomed to significant self-government. Burke, too often seen as either a mere opponent of the abstract Rights of Man or as an inconsistent politician, set forth here, early in his career, the philosophy that would guide him throughout his public life. For it was in his writings on America that he first formulated his opposition to any force—institutional or merely political—seeking to gather all power to itself. Whether acting in the name of The People, Liberty, Equality, Fraternity, or even Parliamentary Sovereignty, the drive for absolute power is corrupting. It corrupts the character of the men pursuing it. If successful it also corrupts the character of the government and the people brought under its thumb. The idea of the United States as a kind of revolutionary nation destined to spread its ideology throughout the world is at the heart of many tragedies, especially over the last century. It is an idea rooted in misunderstanding of our own revolution, of the nature of political power, and of the real nature of human rights. The real rights of man, as Burke eloquently argued in his writings on America, are rooted in history and tradition. Anyone who would talk a people out of their inherited rights in the name of some abstract notion—be it Parliamentary sovereignty, liberty, or equality—is an enemy to that life of ordered liberty and felicity to which Burke dedicated his life and career. It would be better to say something other than “Books on the topic of this essay may be found in The Imaginative Conservative Bookstore.” at the end of every article, and perhaps link to the section where they are or, better still, link to the books themselves. You will notice that we link within essays, wherever possible, to books mentioned by our authors; this includes this very essay, which has three such links. The more you legislate the more damage, confusion, and power you spread. The unwritten constitution, the one of tradition and custom is a mark of a free country and free people. Yes but this article doesnt explain what Burke thought of the Revolution itself. This only explains his thoughts on the crisis that precipitated it. Its my understanding that he opposed the revolution. True?